Today I am proud to present a guest post by Brock, who writes at Clever Dude, one of my favorite personal finance blogs. Brock has done a great job of writing about clever ways to save, spend, and budget, all while keeping a personal spin on his topics. I hope you enjoy his post. If you haven’t seen one yet, I’m sure they’ll be popping up during commercial breaks everywhere before you know it. You know what I mean, those commercials where a person opens their front door to find a luxury SUV sitting in their driveway with a big red bow draped across the hood. Or how about the scene where a woman holds a hand over her mouth in complete surprise as she opens a jewelry box to find a ring with a diamond big enough to use as a piece of sidewalk chalk? Do these things really happen? The giver just committed them to a hefty monthly payment for a significant amount of time. The realization of any of these scenarios would ruin any made for commercial moment, don’t you think? Couples who do their finances together, such as my wife and I, have to find an alternate way to accomplish holiday gift giving. We agree to a limit as to how much we can spend on each other for Christmas presents based upon our budget and the funds we have available. It’s never a huge sum of money, last year it was $100. For us it’s not about the amount of money spent, it’s about how creatively we can use the amount designated. Electric blanket: She LOVES to snuggle up under a blanket while watching TV. She used to have one of these years ago, but it broke. She mentioned on in passing on a cold November evening, so I picked one up for about $25. Cooling Pillow: We were walking through Costco and she saw a pillow that claimed to stay cool as you used it. She thought it was the “coolest” thing ever. I went back and got one for $20. Head Phones: Just prior to Thanksgiving we switched cell phone carriers and she got her iPhone. She put her music library on it (she had an iPod touch previously) and began taking it to the gym. She talks on her phone a lot while on the treadmill, so I bought her a new set of headphones with a built in microphone for $20. Earrings: My wife’s Jewelry box is a complete disaster area. I’m constantly untangling necklaces and looking for earring matches. She eventually concluded she had lost the mate to her favorite medium sized hoop earrings. A new pair added about $15 to the total. The rest of my funds were spent on little trinkets and her favorite chocolate to go into her stocking. My gifts weren’t as mindblowing as a brand new SUV parked in the driveway. They weren’t as romantic as a sparkling new diamond. But they were things my wife wanted, AND the best part was that she had no idea that I had really noticed she had these things on her wish list. Have YOU ever had a commercial worthy gift opening moment? How do you and your significant other handle holiday gift exchanges? Editors Note: I agree 100% with Brock, and the ones that make me really shake my head are the ‘brand new car’ gift commercials. You know that most people who buy a car for a gift can afford a down payment at best, so it’s likely a gift that comes with years of car payments. No thanks! Some people don’t like getting or giving cash as a present. People use reasoning along the lines that it is impersonal and doesn’t show a lot of thought going into the gift. Depending on the person, I completely disagree. What do I mean by ‘depending on the person’? Simple, if you know the person feels that way, don’t give them cash. But, if the person isn’t of that mindset, I see no reason why cash isn’t a great gift. My wife and I would never give each other cash, for example. Personally, I love getting cash. For my last birthday, my parents gave me cash as a birthday gift. They will ask me for a list, and if there’s stuff I really want, I’ll send it over. Sometimes, they’ll come up with the gift, other times they’ll give cash so that I can buy something, or if there’s nothing I want specifically, they’ll just give me the cash with the instruction that I spend it on something for myself. My parents know me well. This past birthday, I really had nothing specific I was looking for so when I got their money, I set it aside. This was great and worked out well just a few short weeks later. My wife and I spent a couple of days on Mackinac Island. For those who aren’t familiar, it’s a great little island with lots of fudge shops and great views, and amazing scenery located in Up North Michigan. It’s also notable in that there are no cars allowed on the island. All transportation must be done on foot, on bike, or on horse (or for those brave enough to weather a Michigan Up North weather, snowmobiles are allowed). It’s a great little place and we went up there a while back to celebrate our fifth anniversary. We actually went a few weeks after our anniversary, right at the end of September. As such, many of the shops, especially those who were selling clothing, were clearing out their inventory for the season. This meant some pretty nice deals. I had been looking for a new fall/spring jacket for awhile. The one I have that I wear regularly is a few years old and is definitely starting to show some signs of wear. It wasn’t a high priority, but for the right deal, I was definitely open. We walked into an outdoor clothing shop and saw that pretty much everything in the store was 40% off. I looked around and found that they had a great selection of jackets, including some North Face jackets (I became a North Face believer fairly recently), and including one that looked great on me. Things on ‘the island’ are typically marked up a little bit, which is pretty much expected because of the transportation costs of getting things there. Plus, it’s touristy. So, I found that this jacket would normally retail for $149 in most stores and was regularly priced at $155 in the store on our trip. But, with 40% off, that suddenly made it $93. Now, $93 for a coat isn’t cheap and isn’t something I am normally used to paying. I’ve lately realized that North Face makes a pretty darn good coat, they stay in style, and they hold up very well. So, this was a great deal! And having some money set aside from the cash that my parents gave me for my birthday made this easy when it came to figuring out if I could afford it. I absolutely could! So, I am now the proud owner of a new fall/spring coat that I also got at a great deal! Thanks to my parents for the amazing gift of cash which I turned into this amazing coat! How do you feel about giving or getting cash as a gift? Today is our holiday lunch at work. One of the thing my team has done for the past couple of years is a Secret Santa. I didn’t participate the first year, in 2009, simply because I forgot. Oops. But the gifts looked pretty cool so I decided to participate last year. Why was it a big oops? Because the gift absolutely sucked. The procedure is fairly typical for such arrangements, where you draw numbers, which determines the order that people pick gifts. 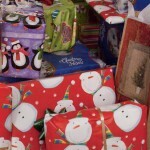 The first person picks their gift, followed by the second person, who can either take an already opened gift or an unwrapped gift. If your gift is taken, you go get another one. I got a pretty low number which meant that I picked pretty early. I was happy enough with my selection, an iTunes gift card. Even though I don’t have an Apple device, I figured you could probably use it to buy music anyways, or if nothing else, it would make a good re-gift opportunity. But, of course it didn’t last. Someone swooped in and nabbed it which meant I had to go again. I picked another gift at random and it was two bottles of dipping sauce for bread. Not anything that I was too enthused about, but whatever. I figured nobody would probably be stealing that and I was right. But, I also thought it would at least be worth a try. Until I got home and looked more closely at the bottles to see that they had already expired. At which point I got pissed. I didn’t say anything to people at work because it’s never good to stir the pot, especially when you don’t know who might have done it. I also reasoned that it could have been an honest mistake, but enough of me held onto the suspicion that somebody simply grabbed a gift from years past and brought it in, that it led me to quickly decide that I was one and done in participating in this event. If you’re doing Secret Santa this year, please put some thought into it. If you consider taking something that you got in the past and re-gifting it, chances are the person receiving it will be equally as unimpressed. At least put some thought into it. And if nothing else, at least check the expiration date. 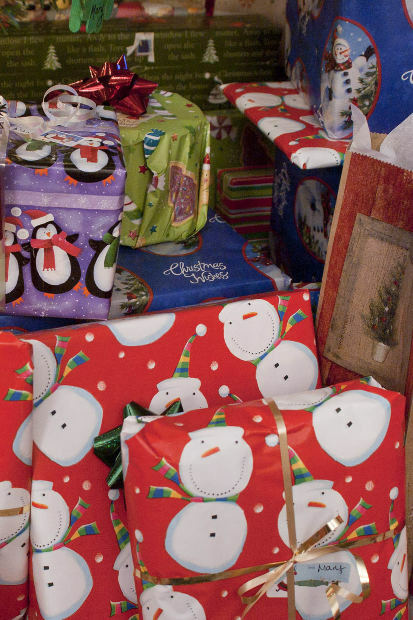 Have you had any particularly awful Secret Santa experiences?